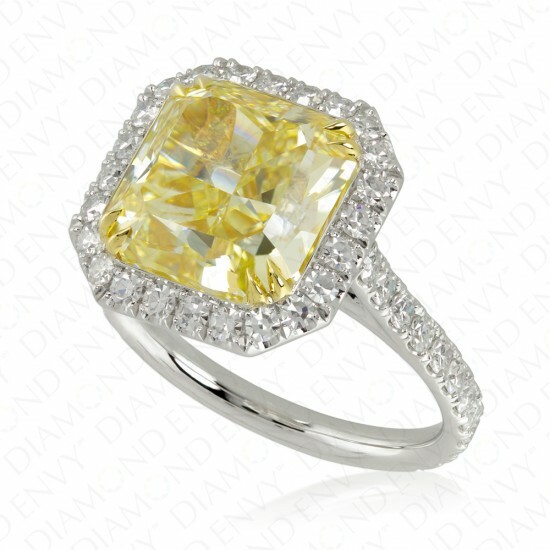 A vision of modern elegance, this stunning ring features a GIA-certified 6.02 carat VS2 radiant cut Natural Fancy Yellow diamond. 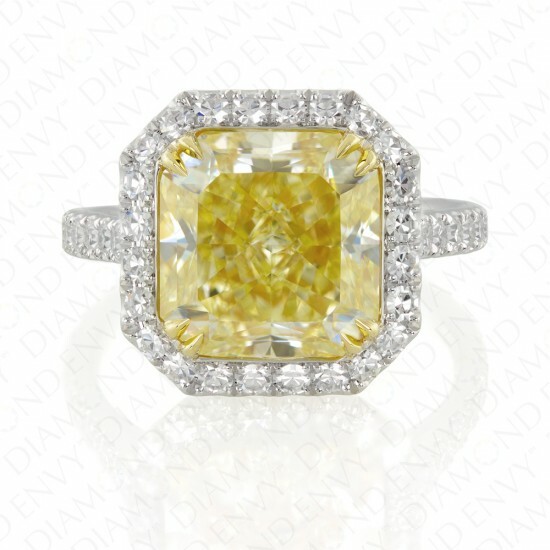 The oversize center canary diamond is framed by a halo of white diamonds. Additional white diamonds adorn the upper parts of the shank. 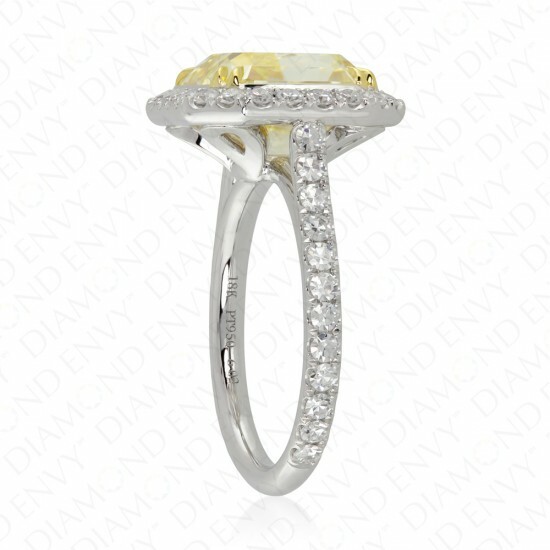 White diamonds are F VS2 and total 48 pieces, 0.75 ct. tw. 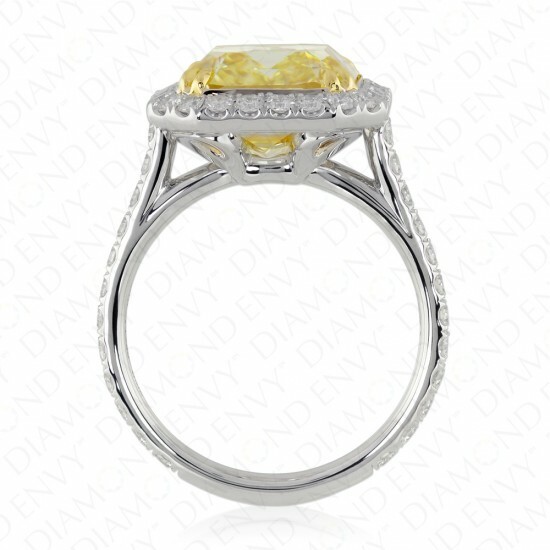 Twenty-eight Fancy Intense Yellow diamonds totaling 0.08 carat accent the underside of the intricate ring gallery. Metal weight: 6.48 grams. Colored diamond rings are the perfect gift to show the special woman in your life that you’re thinking of her every moment of the day. This artfully designed yellow diamond ring makes an unforgettable birthday, anniversary or engagement gift and is sure to make the lucky lady who wears it the instant envy and admiration of onlookers. Diamonds symbolize love, eternity and strength – demonstrate the depth of your love with this priceless token.